Although El Capitan lacks brand-new features and mainly focuses on performance, stability and security, it is welcomed by many Mac users, especially for those experiencing performance issues on OS X Yosemite. Well, every coin has two sides. Take ripping DVD on Mac OS X 10.11 El Capitan for instance, supposed you do that on Mac OS X 10.11, for most part, you will get nothing but fail miserably, for you know, the ordinary DVD ripper for mac is incompatible with Mac OS X 10.10, let alone the OS X 10.11 El Capitan. What if you want to transfer DVD files to your Mac computer hard drive under OS X EL Capitan? Is there a tool that keeps pace with Mac's latest OS X 10.11 and can also rip DVD movies with ease? The answer is surely yes. If you are indeed a Mac user and happen to be a DVD zealot who are willing to rip DVD on Mac OS X El Capitan in case of damaging and scratching, EaseFab DVD Ripper for Mac is the one that will well fulfill your needs. It lets you rip and convert both homemade and commercial DVD to various video formats such as MP4, MOV, M4V, MOV, MKV,FLV etc and backup DVD to single files meanwhile. 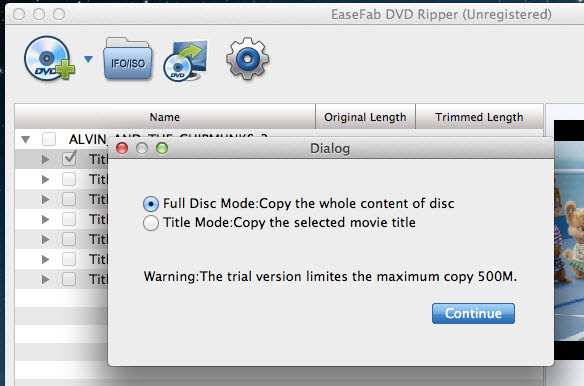 Compared to other Mac El Capitan DVD ripping tools, EaseFab DVD Ripper for Mac supports more output choices. Apart from that, it also provides hundreds of video presets for portable devices like iPhone, iPad, iPod, Zune, PSP, Xbox 360, HTC, Samsung, Motorola, etc. What's more, this amazing DVD ripper on El Capitan is embedded with a versatile video editor, which allows you to touch up the DVD movies to be in tune with your taste. You can crop the video frame, adjust visual effects, add watermarks and also trim the favorite part as you like. That's it, download to try it now. When everything is done, click Convert to begin ripping your DVD movie on Mac OS X El Capitan and let the software do the rest for you. The conversion will finish in a few minutes. 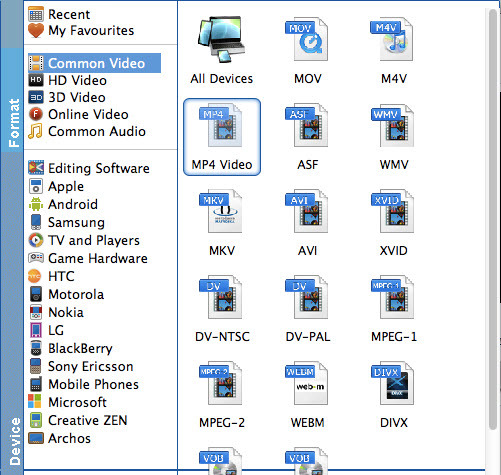 After the conversion is complete, you can enjoy the DVD movies as you like on Mac without any hassles. 1. Edit DVD videos - If you want to change the video visual effects, just tap to the Edit tab and in the pop-up window, you can crop the video, adjust the effects, and also add image/text watermarks. You can split the video into small clips in the Trim window. All editing operation is skippable is you want to keep the original movie effects. 2. Select Desired Subtitle - To select the subtitles you like, simply click Subtitles and select the one you prefer. You can also choose preferred audio track from the Audio drop-down lists. 3. Advnaced Settings - By clicking the Settings button beside Profile, you can adjust the output video/audio resolution, frame rate, bit rate, etc. to customize the output files to get the best quality you want.